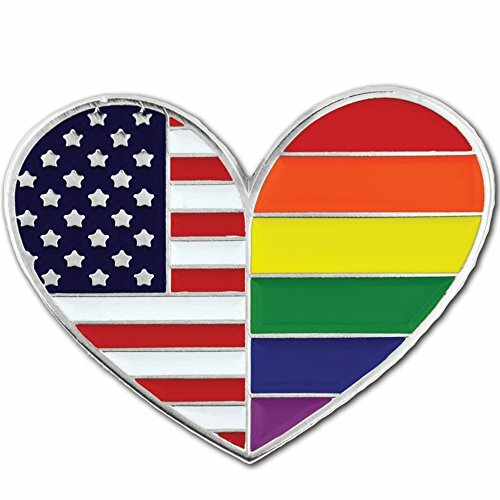 Our Gay Pride American Flag Heart Pin is die struck from select jeweler's metal, hand color filled with patriotic and gay pride colors, nickel plated and polished to a shiny finish. It is the celebration of pride and spirit for both the United States of America and for LGBT community. 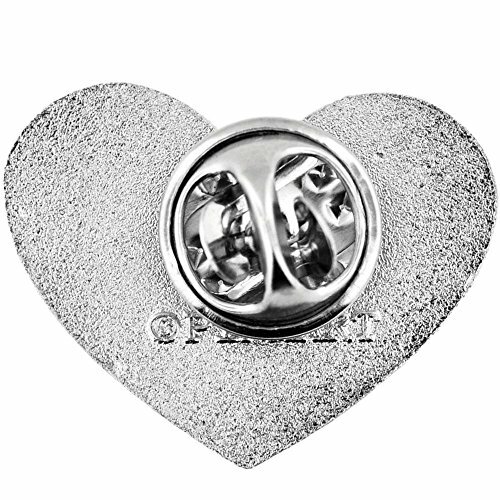 Each includes a standard clutch back that allows this pin to stay put on your lanyard, lapel, hat or scarf. It does arrive to you individually poly bagged. 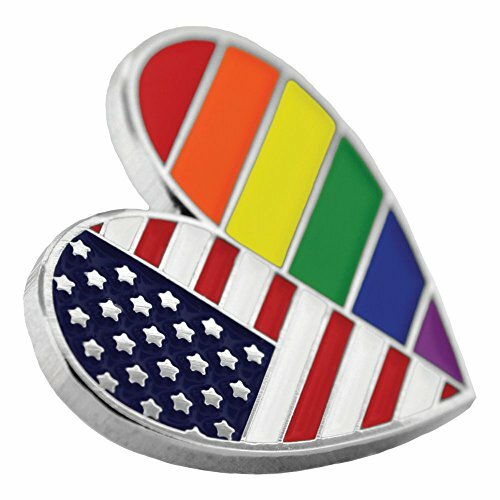 Our Gay Pride American Flag Heart Pin is die struck from select jeweler's metal, hand color filled with patriotic and gay pride colors, nickel plated and polished to a shiny finish. It is the celebration of pride and spirit for both the United States of America and for LGBT community.